Apple and Samsung are the big names into the smartphone market. From the last couple of years, both are facing a tough rival from each other. 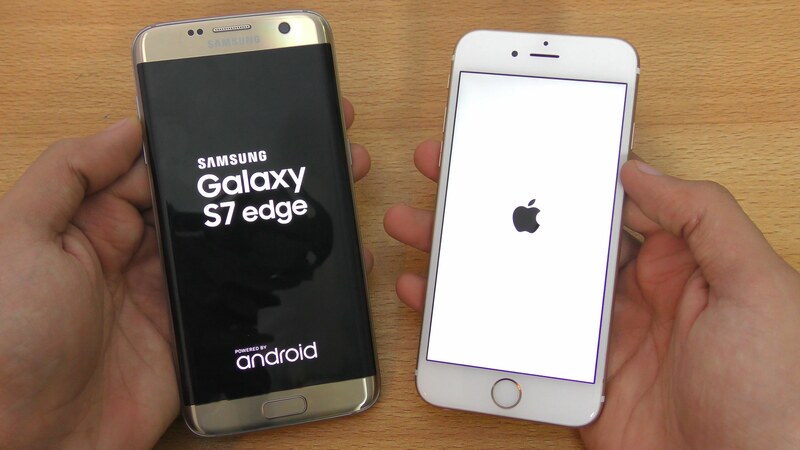 Samsung has launched Galaxy S7 and S7 Edge smartphone at MWC this year, while Apple iPhone 7 is rumoured to release soon in coming months. This year Samsung has done really impressive advancement in terms of camera, battery and hardware while at the other hand iPhone7 is also rumoured to give some powerful features in upcoming iPhone. For now Samsung Galaxy S7 & S7 Edge are available at $610 and $710 USD respectively. As per the reports Apple can release two iPhone models this year with adding an Pro variants as well. Company has already launched iPhone SE which is wold’s fastest 4 inch mobile phone and now they can more clearly focus on larger display device with iPhone 7 series. So, if you are an iPhone or Galaxy fan than this perfect article for you to get the best of Apple vs. iPhone revelry. It will be a big question that who will win the title for best smartphone of 2016. To make it clear let’s compare the features and specifications of Apple iPhone 7 and Samsung Galaxy S7. Samsung boasts a 5.1 inches super AMOLED with 2560 X 1440 resolution display while iPhone 7 will have a nearly 5″ display with full HD 1920 x 1080 resolution. Apple will use IPS screen which is long lasting. On contrast, Galaxy S7 and S7 Edge (5.5 inch) smartphone features have big screen display as compared to iPhone 7 with AMOLED display. 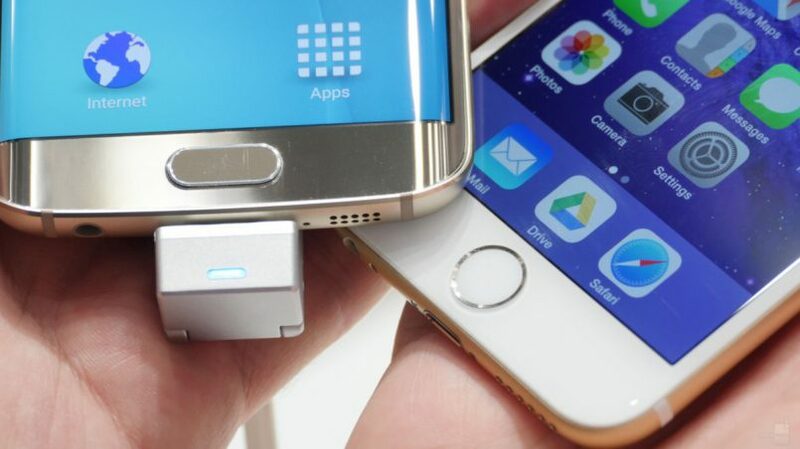 The Samsung flagship also has always-on display and sharpe edge which is clearly gives them an upper hand over Apple. However, if Apple will able to bring OLED in act; and can make iPhone 7 or even and Pro variant with OLED display, its going to be game changer for Apple. Samsung Galaxy S7 come with 12 megapixels rear camera and a 5 MP front snapper, but with major camera upgrades. It has f/1.7 aperture camera lenses and features high quality images even in low lights as well. There is no official announcement about Apple’s iPhone 7 camera. But Apple may improve the camera feature as iPhone 6/6S were equipped with the 12MP camera. As per reports, Apple can also follow Samsung’s path, iPhone 7 can also have either 12 or 16 MP camera but with lenses upgrades. Samsung Galaxy S7 and S7 Edge offers 32GB internal memory which can be further extendable up to 200 GB. They have provided microSD card space in SIM tray, if you are not using second SIM you can insert your memory card in it. Talking about iPhone, they generally do not offers any memory extension. Apple iPhone 7 will come in 32 / 64 / 128 GB memory options. The high storage variant iPhone 7 can make it quite expensive as compare to Galaxy S7 & S7 Edge. Samsung Galaxy S7 will be powered by Qualcomm Snapdragon 820/Samsung Exynos 8890 processor and pre-installed with 4GB RAM. This will ensure next-generation performance to users. Apple iPhone 7 will run on upgraded AXX processor and 2/3 GB RAM. Both devices will face head-to-head competition with each other with high-end processor and technology. Galaxy S7 has better performance and battery life. It has 3,000 mAH (S7) and 3600 mAh (S7 Edge) strong battery which giver pretty good talk time. It manages around 17h 48m continuous battery life. Talking about upcoming iPhone, there is no official announcement about the battery life of iPhone 7. We hope that Apple will surely offer something good in battery technology and offer Quick Charing kind feature as well. According to rumours Apple iPhone 7 will be expensive as compared to Galaxy S7. After reading features and specs, it is quite cleat that Samsung Galaxy S7 is far better smartphone than rumoured iPhone but we didn’t have official specs till now and Apple is quite unpredictable at the moment. Both seems to have high-end features and latest technology upgrade. Right now we need to wait for the release of iPhone into the market. Apple iPhone 7 is going to release in IFA 2016 which is scheduled to happen in September. So, now if you are Super User and do high multitasking than Samsung Galaxy is going to be your favorite and for those who prefers Class, Quality and do moderate multi tasking, can wait for release of iPhone. We are going to update with latest information and rumours of upcoming iPhone. So, stay tuned with us and like us from below social buttons before leaving. You can also share your thoughts by commenting below.